Leading software development house of Nuremberg and one of the most successful Microsoft CRM GOLD of Germany and Microsoft GOLD Application Developer to partners introduces the new release of his successful distribution management, resources management and project management to solution proRM. proRM 4.0 is an important tool. Every companies can control their business processes better and it helps to reduce the costs successfully also. The proven proRM solution was around renewed and now shines in the new shine. The new release receives more functionality and remains especially user-friendly. A new version is quite a new concept that brings many advantages for the company. The adaptable structure is emphasized with which the customer can simply select the functions relevant for his business and which enables to adapt the level of utilization individually to the needs. New release was conceived that enterprises must pay only this what they need. An approach that brings customers more advantages. It is possible to put together the software applications as desired. proMX developed his proven solution for the most important duties of the everyday project business. With the help of the time oriented to project, achievement, and expenses capture the information about status, costs and results of all projects can pursue project-expensive always on a real-time basis. Now produced achievements can be more exactly invoiced. proRM integrates itself as before to 100% in Microsoft Dynamics CRM in 2011 as well as in 2013 version and completes the known areas CRM (distribution, marketing and service). With the help of the time registration for Windows 8, Windows Phone, iPhone and Android the important subject Time recording is well shown. 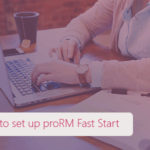 proRM 2014 can be used quite independently of branch from small to small business as well as from big enterprises with more than thousand employees. The newest version the distribution management, resources management and project management solution proRM optimizes daily work routines considerably. Besides, the solution supports yet of effectual companies to administer their projects professionally and efficiently, to steer and to analyze. Now customers fix, for example, time units within the proRM applications themselves. Whether on day base or hourly base, you choose the model fitting for your enterprise for the capture process and, besides, you win in flexibility. In the new commercial calendar from proRM customers can define the non-working days also themselves. In addition, one can form a holiday profile and use it for different projects. „We have accepted the comments and proposals of our customers and have inserted this in our solution, so that we have got to improve the flexibility and functionality of the solution substantially“, according to Peter Linke, manager from proMX. „We are always aimed to make easier the working daily life of our customers. Besides, above all the more actual resource planning and varied possibilities the Outlook ext. “, according to the left is to be emphasized. For prospective customers and newcomers offers proMX a test version as well as a Freemium the version. They can be of use up to five employees in your enterprise free of charge. According to a current study of an IT consulting firm many ERP projects have missed her aims last year unmistakably. Therefore were crossed the budget with 54% and the period with 72% of the ERP projects. So that it goes out to your enterprise in future not alike, we have made better proRM yet. With the version 4.0 from proRM you reach with much less expenditure, an essential efficiency increase of your projects. Therefore, companies profit from the improved applications. proRM Resource Planning – this solution helps you to find immediately the best of all certified employees or can adapt landmarks any time. In addition, you are able to supervise whole projects on a real-time basis, to steer and to analyze. Thanks to this application, you have the overview and can inspect the extent of utilization of the workers after customers, project or resources most exactly and optimize. Project managers can plan bookings or carry out directly which deliver valuable information to the team. The transparency got anew of all project expiries is another advantage. The colored representation of the different activities provides for more clarity and is extremely user-friendly. proRM Outlook Tracking – Now the extension of the opportunities the proRM Outlook Tracking gives the possibility to synchronize all registered entries within your Outlook calendar. It is also possible to finish a reservation period via the proRM Outlook Tracking. For the period end calculation, it is not necessary to logout Outlook any more. Now users are able to use your Outlook-appointments directly for the achievement calculation, and collect the expenses and travel expenses at the same time about Outlook. proRM Invoicing Manager – proRM 4.0 and this application save a lot of time. It’s not essential to wait at the month end for the approval of the employee’s achievements, travel expense report and invoicing. The simplistic structure of this application makes a child’s play from the invoicing. Project managers and employees can move thanks to the user interface by all phases of the debiting. They can book time tracking more specific and transmit changes any time. The whole is completed by Gantt charts. Clear, self-explicatory bar graphs give any time a visual overview about the project Structure and help in the observance of appointment default. A little bit more? The new Editions from the new vision! proMX is to be adapted itself always anxiously to the customer needs, accordingly the IT specialist offers different Editions for the most different business standards. The customer alone can put together to himself the software applications by wish. The special is present that you only this pay what you really need. proRM Freemium Edition. With this version can test up to five users during 1 year free of charge the edition and are of use. The customer decides himself and quite individually with which other highly competitive applications he would like to combine this. It is possible to make an upgrade to the Small business edition any time and, besides the proMX-support agree. proRM Small Business Edition is an arrangement of the applications for the needs of small companies. Processes can be illustrate, steer and supervise without restriction with the quantity in projects or customers and hold the main-support. proRM Mid Business Edition. It was conceived for middle-class companies with different departments and from 50 employees. This allows the time recording and expenses capture of all employees to control also the extent of utilization of the employees after customers, project or resources exactly and to optimize. proRM Enterprise Business Edition is projected for enterprise with several departments and from 100 employees, completely regardless of the number in projects or customers. 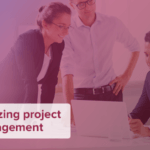 This edition offers important applications for companies with demanding project management, like resource planning, invoice manager and other for the budget planning and time recording, which are shown with the help of the proRM project Gantt clear. proRM Flexible Business Edition is planned for enterprise that know certainly, what they want as regards process control. This edition offers to customers the special chance to put together the applications completely after individuals needs to themselves. Nevertheless, these can be switched if the demands change. The more applications are booked, the more favorably also becomes the price of the single component. Prospective customers and newcomers can download proRM Freemium Edition here.